The 17th Lancers (Duke of Cambridge’s Own) was a cavalry regiment of the British Army, notable for its participation in the Charge of the Light Brigade in the Crimean War. Various amalgamations have resulted in its absorption into the Queen’s Royal Lancers (which has also incorporated the 5th, the 16th and the 21st Lancers). In 1759, Colonel John Hale of the 47th Foot was ordered back to Britain with General James Wolfe’s final dispatches and news of his victory in the Battle of Quebec. After his return, he was rewarded with land in Canada and granted permission to raise a regiment of light dragoons. He formed the regiment in Hertfordshire on 7 November 1759 as the 18th Regiment of (Light) Dragoons, which also went by the name of Hale’s Light Horse. The admiration of his men for General Wolfe was evident in the cap badge Colonel Hale chose for the regiment: the Death’s Head with the motto “Or Glory”. The regiment was renumbered the 17th in 1761 and saw service in Germany. In 1766 it was renumbered again, this time as the 3rd Regiment of Light Dragoons. In 1764 the regiment went to Ireland, where it was based for many years. It regained the 17th numeral in 1769 as the 17th Regiment of (Light) Dragoons. The 17th was sent to North America in 1775, arriving in Boston, then besieged by American rebels in their War of Independence. The 17th fought in the Battle of Bunker Hill, a costly British victory. The 17th was withdrawn to Halifax. In 1776, the 17th fought in the Long Island campaign. Later, in 1780, the regiment provided a detachment for operations in the southern colonies as part of Tarleton’s Legion, a mixture of infantry and cavalry, and was engaged in a number of battles. The legion, commanded by Banastre Tarleton, was founded in 1778 by Loyalist contingents from Pennsylvania, New Jersey, and New York. As the attached regular cavalry, the 17th clung on to an identity separate from the provincials, even refusing to exchange their fading scarlet clothing for the legion’s green jackets. They sustained heavy losses in the Battle of Cowpens in January 1781 after being ordered by Tarleton to charge a formation of American militia. Although their charge was initially effective, the dragoons, numbering about 50, were quickly surprised and outnumbered by concealed American cavalry, under Colonel William Washington, and driven back in disarray. The American War of Independence officially ended in 1783. An officer of the regiment, Captain Stapleton, had the distinction of delivering to George Washington the despatch confirming the declaration of the cessation of hostilities. The 17th returned to Britain, where it remained until 1795, when it sailed for the West Indies to reinforce depleted forces battling the French. Two troops were used to suppress an uprising by “Maroons” in Jamaica soon after arriving in the Caribbean. Other detachments were embarked aboard HMS Success as “supernumeraries”. Their experience at sea has been suggested by regimental historians to have gained the regiment the nickname “Horse Marines”. The 17th was sent to India shortly after returning home. In 1817 they took part in the Third Mahratha War. Disease ravaged the regiment during its residency. Whilst in India, the British Army nominally re-classified the 17th as lancers, and added “lancers” as a subtitle to its regimental designation in 1822. The 17th did not learn of its new status until 1823, when, during a stopover at Saint Helena on its journey back to Britain, a copy of the Army List was obtained. Although the weapon’s use had endured in parts of continental Europe, the lance had not been in British service for more than a century. Its reintroduction by the Duke of York, Commander-in-Chief of the British Army, owed much to the performance of Napoleon Bonaparte’s Polish Uhlans. The lancer regiments adopted their own version of the Uhlan uniform, including the czapka-style headdress. In 1826, Lord Bingham (later the 3rd Earl of Lucan) became the regiment’s commanding officer when he bought its lieutenant-colonelcy for the reputed sum of £25,000 pounds. During his tenure, Bingham invested heavily in the 17th, purchasing uniforms and horses, giving rise to the regimental nickname “Bingham’s Dandies”. As lancers the 17th retained the white facings that had distinguished the regiment as light dragoons. 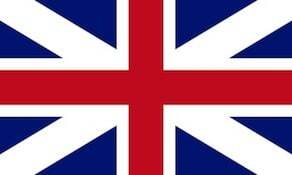 The 17th had been stationed in Britain since 1823 when the Crimean War began in 1854. The 17th was part of a combined British and French expedition assembled to support the Ottoman Empire in its war with Russia. The intention of the expedition was to invade the Crimea (in present-day Ukraine) and capture the naval base of Sevastopol. During the Siege of Sevastopol (which began in September) the 17th Lancers took part in the Battle of Balaklava on 25 October. During the battle, the regiment took part in a cavalry charge that became known as the Charge of the Light Brigade, which spawned much controversy and indeed a poem by Alfred, Lord Tennyson. The Russians captured redoubts on the Causeway Heights, which held some British artillery. The army commander, Lord Raglan, issued an order for the Light Brigade to attack there before the guns could be taken away by the Russians. The order was sent via Captain Louis Nolan to Lord Lucan, commander of the Cavalry Division. It is believed, however, that Nolan misinterpreted the order as an order to attack Russian artillery in the valley between the Fediukhine Heights and the Causeway Heights. It has been speculated that Captain Nolan, an authority on cavalry tactics, actually directed Lucan toward the wrong guns in order to test his tactical theories, although this view has not found wide currency. Lord Cardigan then ordered his Light Brigade to began the advance at a trot, with the 17th and 13th Light Dragoons leading the Brigade, heading into a concentration of Russian artillery, infantry and cavalry. The Light Brigade advanced to their objective and came under heavy artillery fire from all sides, which inflicted many casualties. The Brigade, upon nearing the enemy, then went into a full charge. The 17th Lancers, commanded by Captain William Morris, drove through the Russian artillery before smashing straight into the Russian cavalry and pushing them back. The Light Brigade were unable to consolidate their position, however, having insufficient forces (the Heavy Brigade had not advanced further into the valley) and had to withdraw to their starting positions, coming under artillery and musket fire and cavalry attack as they did so. Despite the mistakes that culminated in unnecessary loss, the charge reasserted the renown of the British cavalry, to such an extent that Russian cavalry refused outright to confront them in battle for the duration of the war. The 17th Lancers suffered quite heavily. Of the 147 men of the 17th, just 38 were at the roll call the following morning. The Light Brigade as a whole suffered 118 men killed and 127 wounded out of a total of 673 men and 362 horses lost, effectively destroying the unit as a fighting force. The 17th took part in the Battle of Inkerman on 5 November, although only in a minor role. It did not return home with the conclusion of the war in 1856. After the inception of the Victoria Cross (VC) in 1856, three members of the 17th received the award for acts of gallantry in the charge: These were Troop Sergeant-Major John Berryman, Sergeant-Major Charles Wooden, and Sergeant John Farrell. In December 1857 the 17th arrived in India to reinforce the effort to suppress the Indian rebellion against British rule. By the time the regiment was prepared for service, the rebellion was effectively over, although it did pursue Tantia Topi. During the course of the pursuit, Lieutenant Evelyn Wood earned the Victoria Cross for gallantry on two separate occasions. Tantia Topi was ultimately captured and hanged by the British. The 17th Lancers remained in India until 1863, when it returned to Britain. In India, the 17th became the 17th Regiment of Lancers. When, in 1876, it gained Prince George, Duke of Cambridge as its Colonel-in-Chief, the regiment adopted the title of the 17th (The Duke of Cambridge’s Own) Lancers. The 17th was sent to Natal Colony for the Zulu War. On 4 July 1879, the 17th fought at the Battle of Ulundi under Sir Drury Curzon Drury-Lowe. The 17th was posted inside a large British infantry square during the attack by the Zulu Army, which had surrounded the British. When the attack appeared to be wavering, the 17th Lancers were ordered to advance. Their charge routed the warriors with heavy loss. The battle proved to be decisive. The 17th returned to India the same year, remaining there until about 1890 when they returned home. In 1900 the 17th returned to Southern Africa for the Second Boer War. They missed the large pitched battles, but would still see substantial action during the war. In 1900, Sergeant Brian Lawrence won the regiment’s fifth and final VC at Essenbosch Farm. The 17th’s most significant action was at the Battle of Elands River (Modderfontein) in September 1901. C Squadron of the 17th was attacked by Boers under Jan Smuts whom the cavalrymen mistook for British troops. The Boers took advantage of a mist to encircle the British camp. When Smuts’ vanguard ran head-on into a Lancer patrol, the British hesitated to fire because many of the Boers wore captured British uniforms. The Boers immediately opened fire and attacked in front while Smuts led the remainder of his force to attack the British camp from the rear. The British party suffered further casualties at a closed gate that slowed them down. All six British officers sustained wounds and four were killed. Only Captain Sandeman, the commanding officer, and Lieutenant Lord Vivian survived. The 17th Lancers had suffered 29 killed and 41 wounded before surrendering, while Boer losses were one killed and six wounded. The 17th returned home in 1902 with the conclusion of the war. The regiment left for India in 1905, where it remained until the First World War. At the beginning of the First World War, the 17th Lancers formed part of the Sialkot Cavalry Brigade of the 1st Indian Cavalry Division. The regiment landed in France in November 1914. In the static warfare of the Western Front, the 17th was often restricted to infantry roles, such as the occupation of trenches. The 17th was eventually used in its conventional cavalry role in 1917, at the Battle of Cambrai, which happened to feature the first large-scale use of tanks. In 1918 the 17th was transferred to the 7th Cavalry Brigade, part of the 3rd Cavalry Division. That year the men got another chance to prove their worth as a cavalry regiment during the last-gasp German Spring Offensive. The 17th functioned as mobile infantry during the attack, plugging gaps whenever the need arose, both as cavalry and as infantry. The 17th also saw service in the British counter-attack, including the Battle of Amiens. After the signing of the Armistice on 11 November 1918, the 17th remained in continental Europe, joining the British Army of the Rhine in Cologne, Germany. The regiment then served in County Cork, Ireland, where it operated against the Irish Republican Army during the War of Independence. In 1921, the 17th had its title altered to the 17th Lancers (Duke of Cambridge’s Own). In 1922 the 17th was amalgamated with the 21st Lancers (Empress of India’s) to form the 17th/21st Lancers. This regiment was amalgamated with the 16th/5th Queen’s Royal Lancers in 1993 to form the Queen’s Royal Lancers.